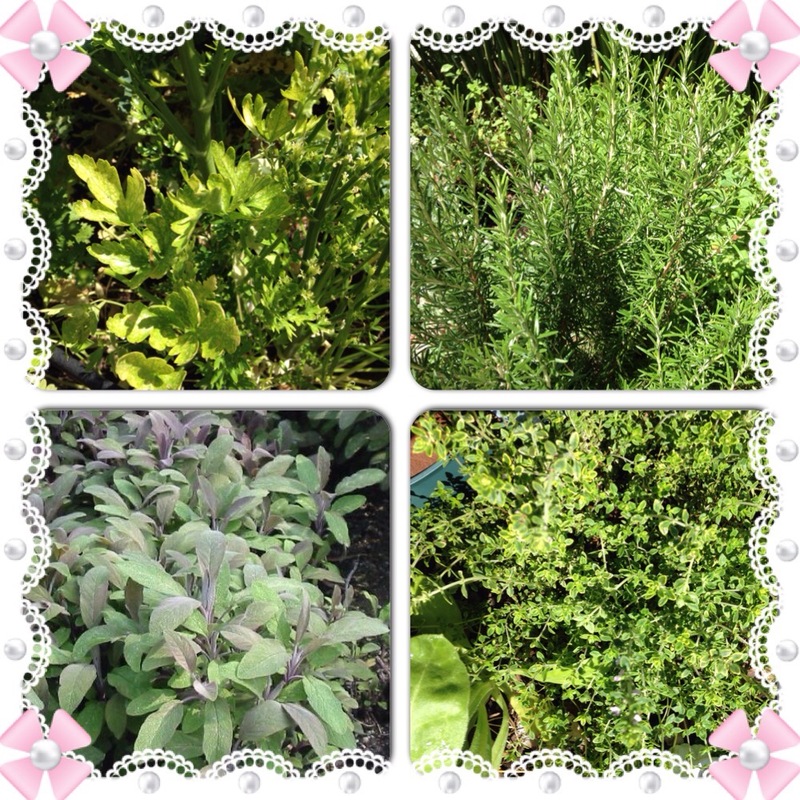 While working amongst the herbs today in my magickal garden, I suddenly remembered the song, “Are You Going to Scarborough Fair?” and wondered about the meaning of the verse “parsley, sage rosemary and thyme.” I knew those four herbs probably had some magickal significance that would relate them to the song. Sure enough they do! I feel the correspondences of these herbs are qualities that are needed in a positive, loving relationship between two people. Parsley is said to take away the bitterness, and so I feel that in a relationship it symbolizes the ability to add comfort and sweetness during times of trouble. Sage is for strength and I would also like to throw in wisdom. Relationships require a lot of strength to make it through the years. And the wisdom part, of course, means knowing when to offer advice and went to keep quiet. Rosemary is for faithfulness. It goes without saying that faithfulness is important in so many ways in our relationships. Thyme is for courage. Forming relationships takes a lot of courage! Some people never decide to form meaningful relationships and to travel through life without a significant other. There is a risk in offering your heart to another ! The song is speaking about love relationships between a man and a woman, but in many ways these four qualities are needed in all types of relationships. Parents and sons and daughters; friends and even coworkers need these qualities to make their relationships succeed. The song, ” Scarborough Fair”, deals with a man asking his former lover to perform some impossible tasks if she wants him to take her back. He asks her to sew him a seamless shirt that she must wash in a dry well. In some versions of the song the woman responds with some equally impossible requirements that he must first perform. We might laugh at the behavior of these two people and think their actions are ridiculous, but how often do we ask the impossible or nearly impossible of the people around us, wanting them to be perfect? We gripe at others and yet we don’t hold the same high standards for our own behavior. What a wise and meaningful message this old folksong communicates! This granny witch who has been married for over 40 years can testify to the fact that these four qualities represented by these four herbs are so very necessary in a lasting relationship . We feel we have come so far in modern times and yet we could learn a lot from the wisdom of the past. Anyone wanting to draw love into their lives and manifest a loving relationship would do well to use parsley, sage rosemary and thyme to bring positive energy to their work. Write your own blessing or spell and incorporate the herbs into sachets, dried incenses and to anoint your candles. Focus your intention to draw someone to you with these qualities as well as to draw these qualities to your own personality. May all your relationships be sweet, with strength, faithfulness and courage to see them over the long haul! I’ve always wondered about that song and about the meaning of the herbs mentioned. How fun to read this post!